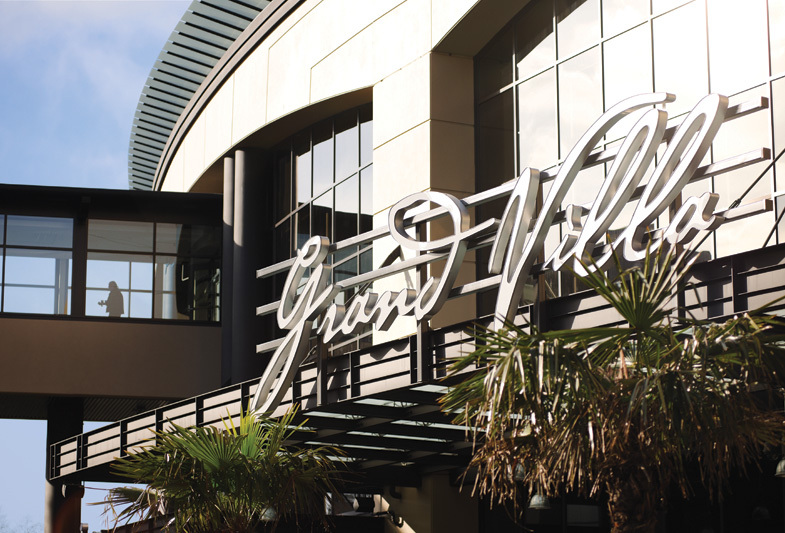 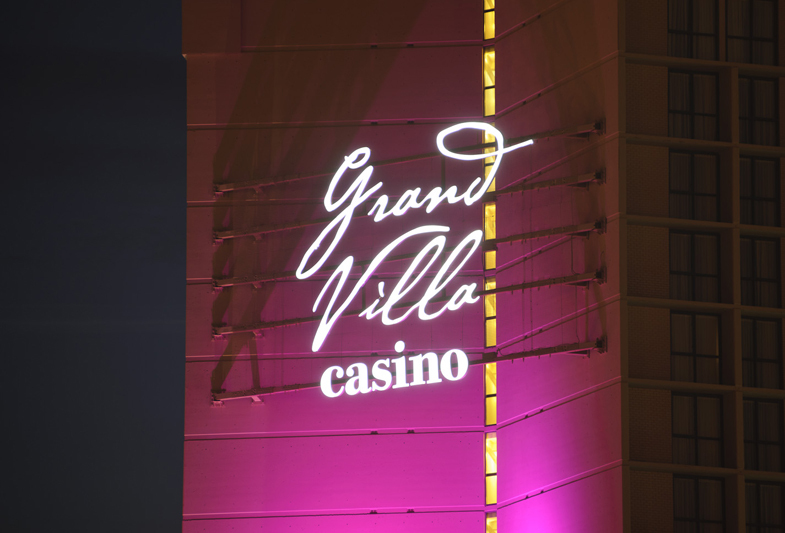 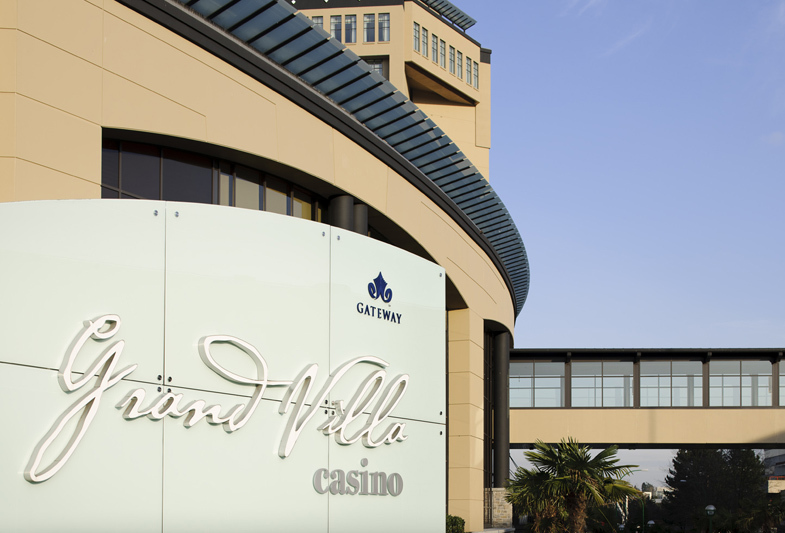 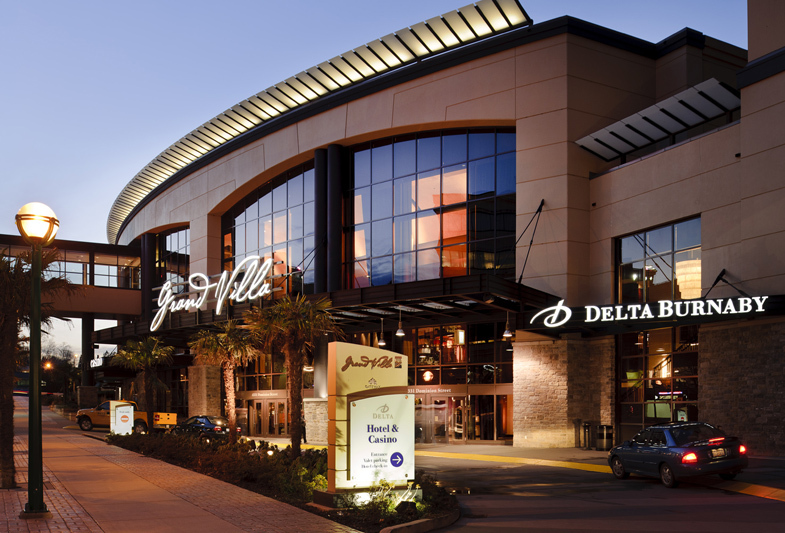 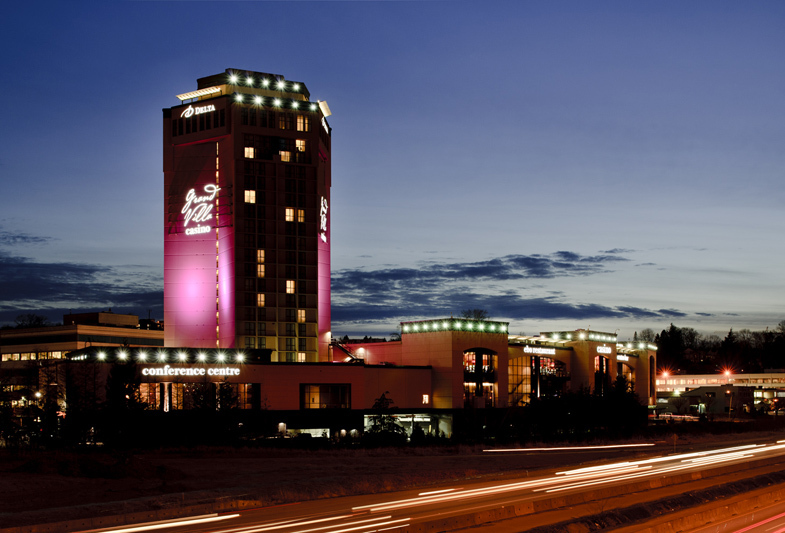 The Grand Villa Casino in Burnaby, BC was completed at the end of 2008. 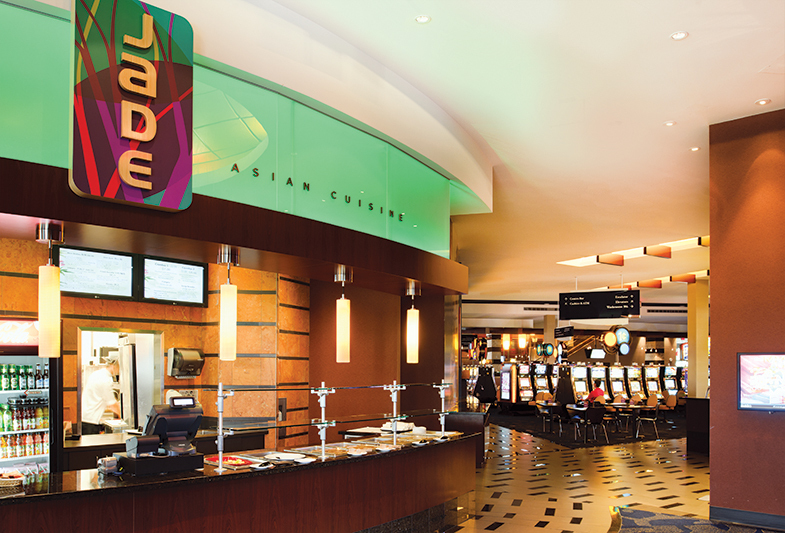 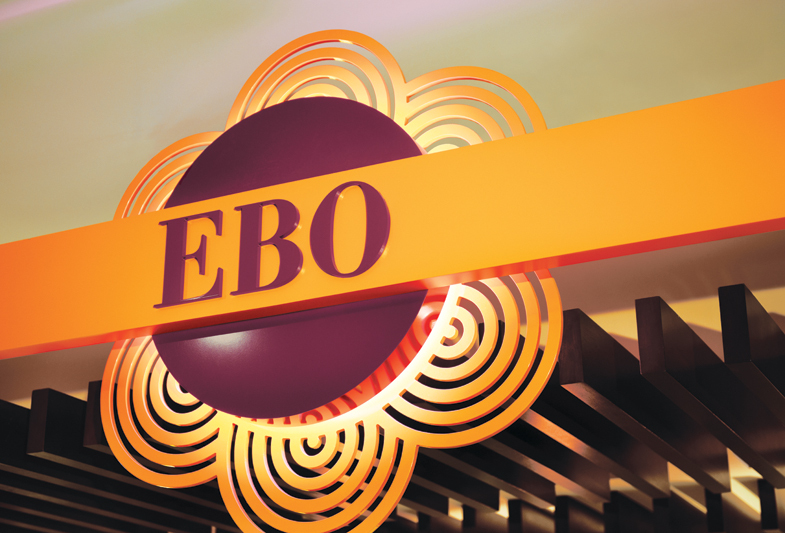 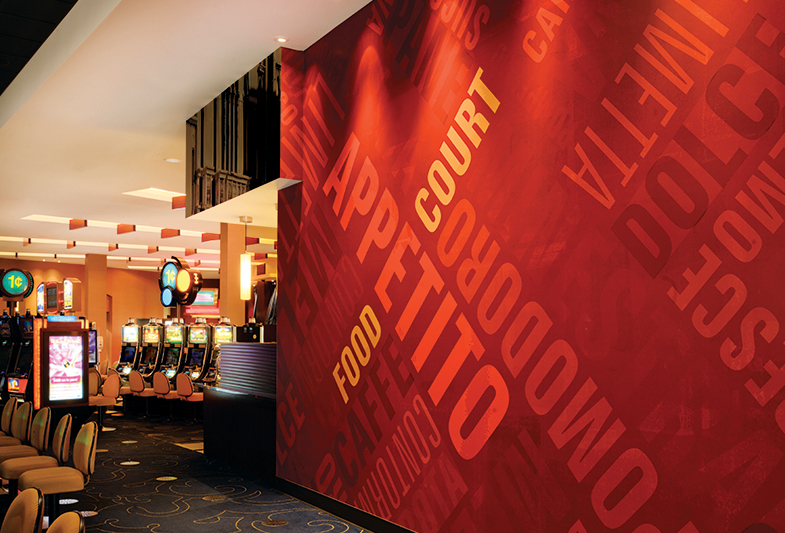 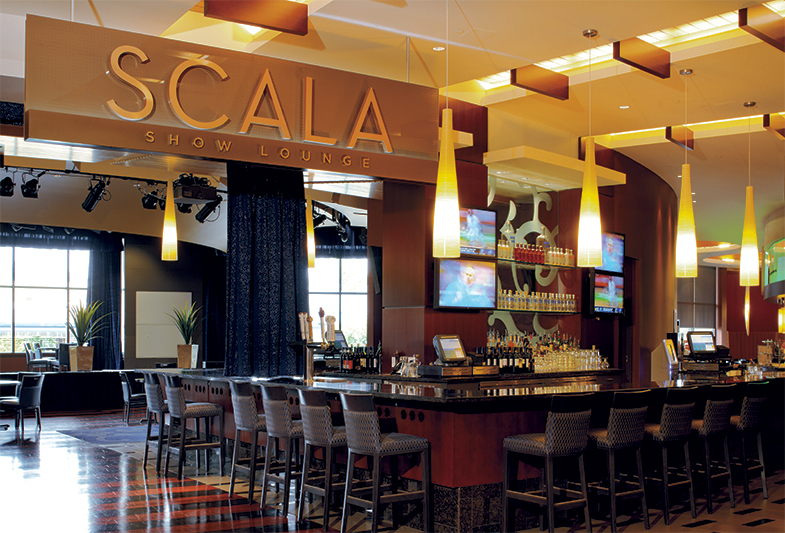 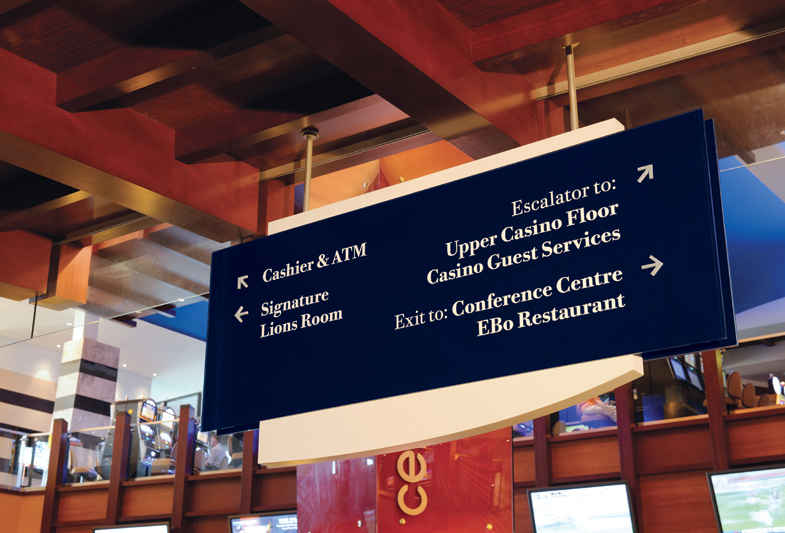 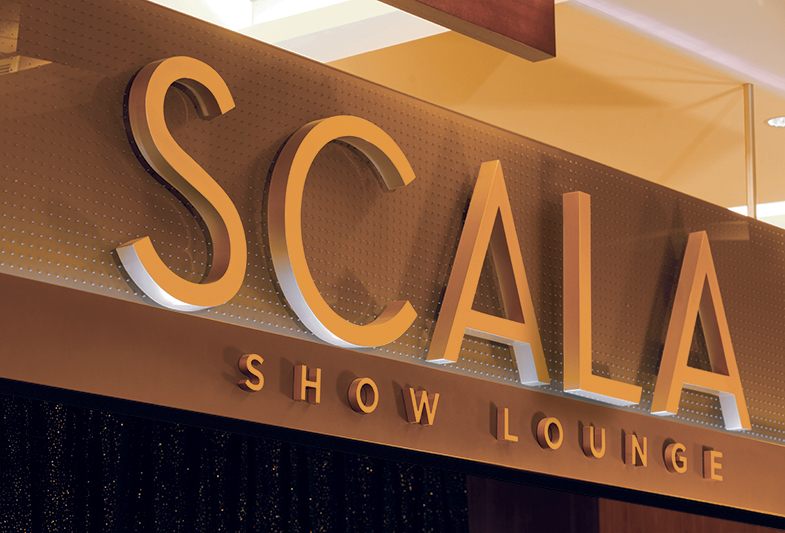 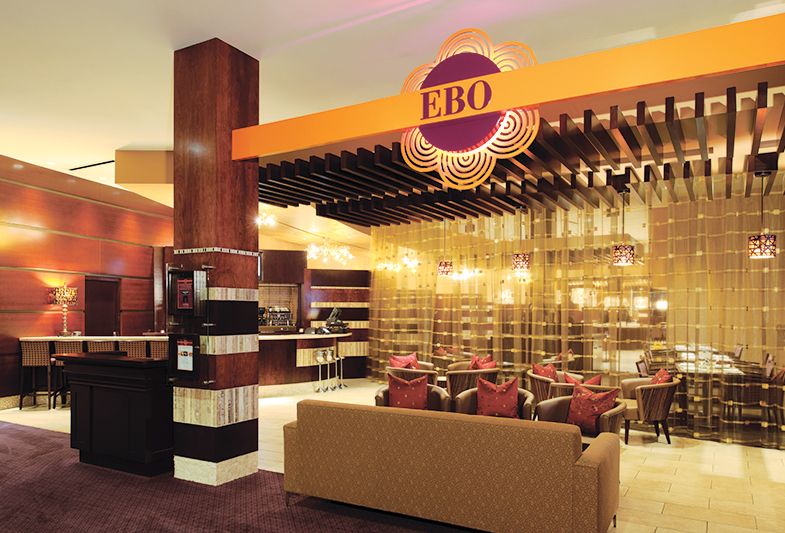 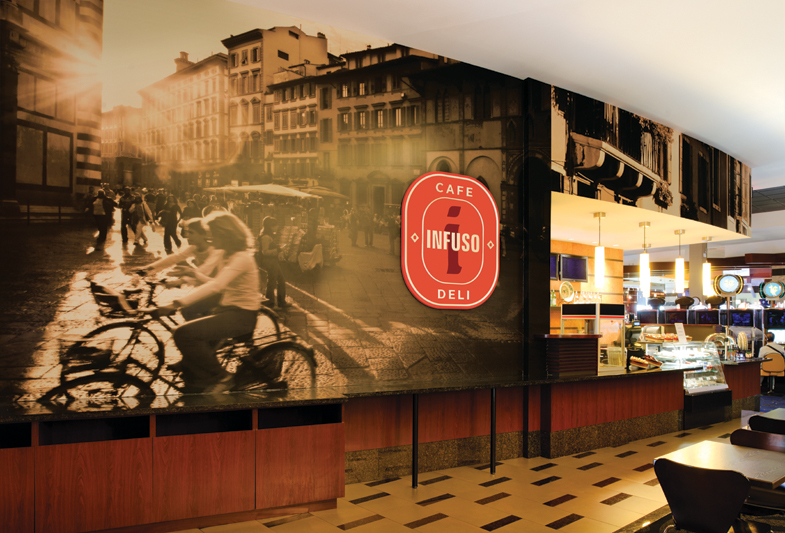 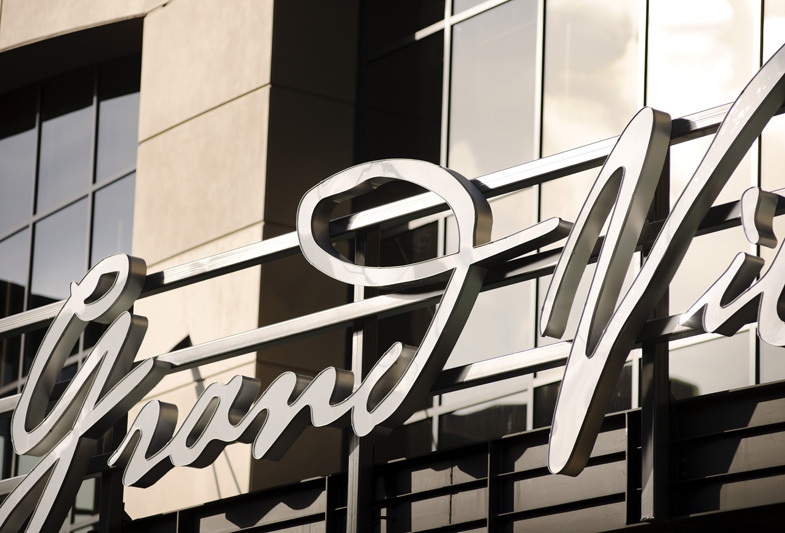 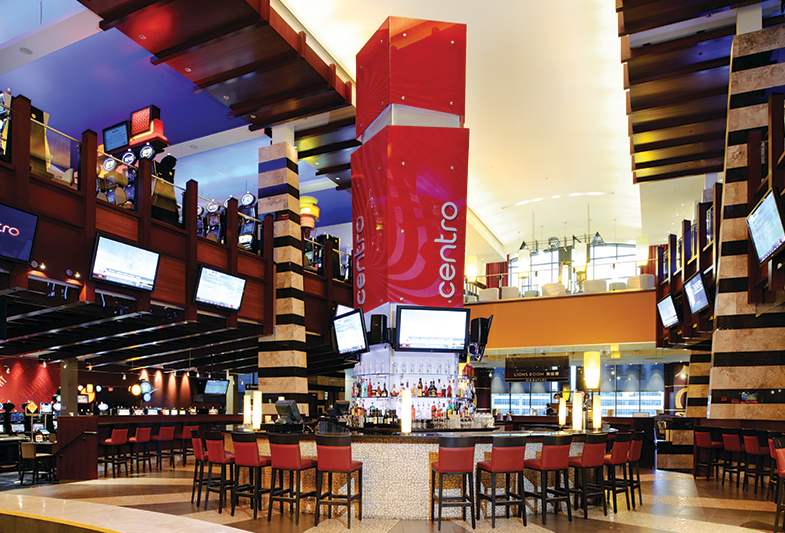 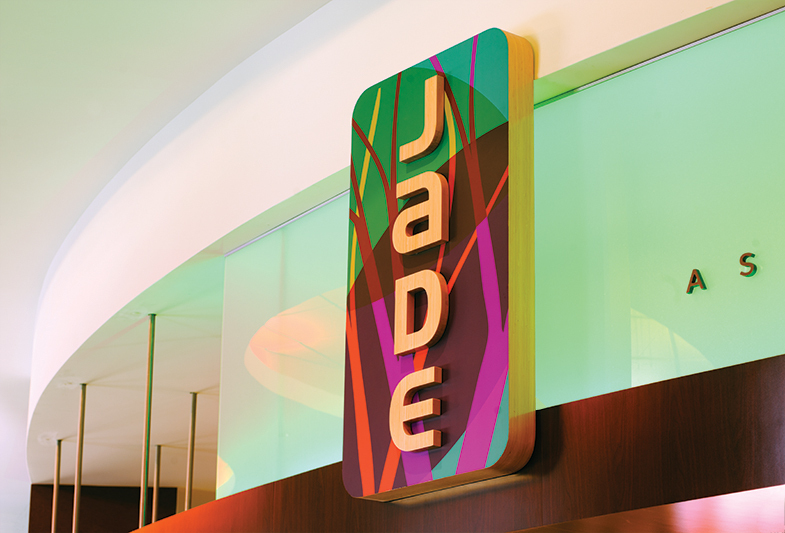 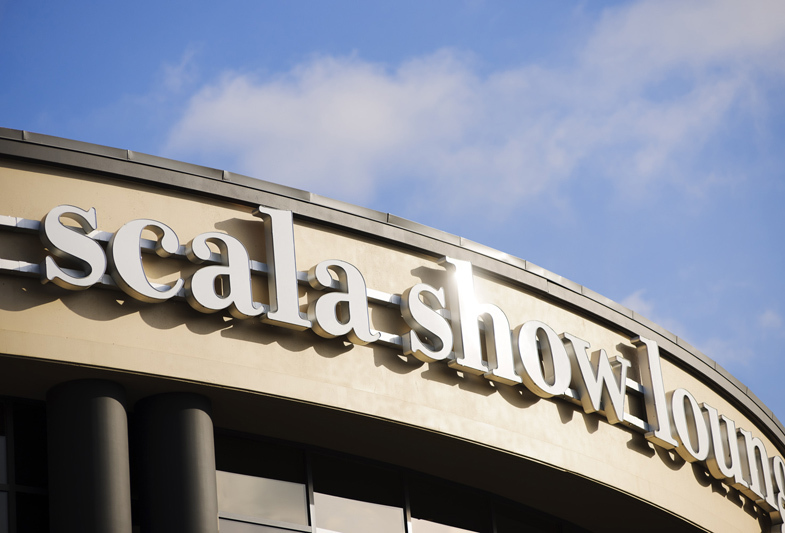 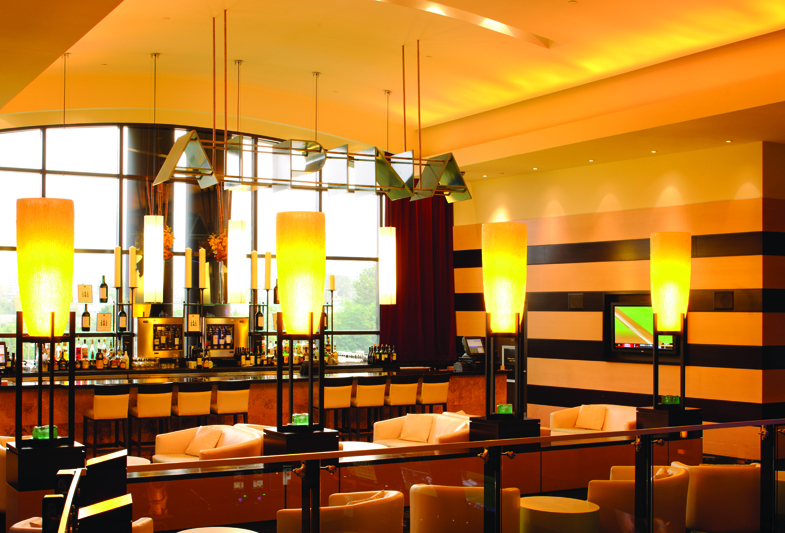 The project scope included naming and identity creation for each of the self-contained food & beverage offers inside the casino, the main full-service restaurant and the premium, member-only gaming club. 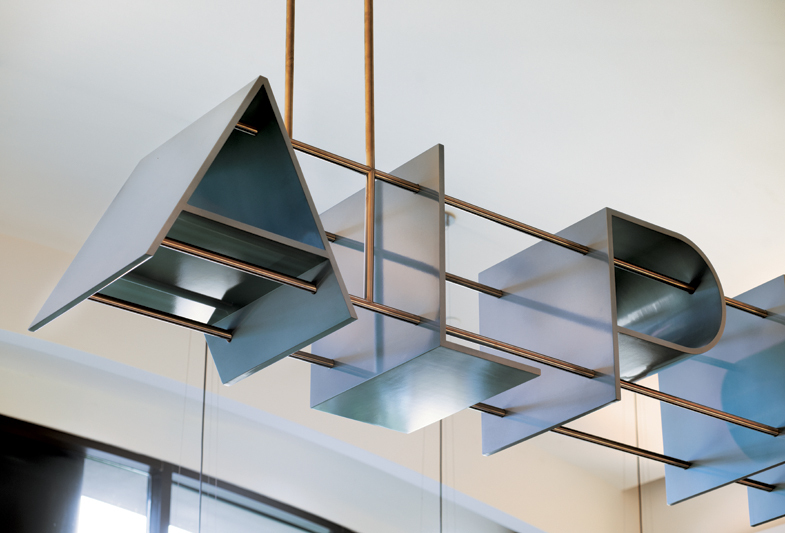 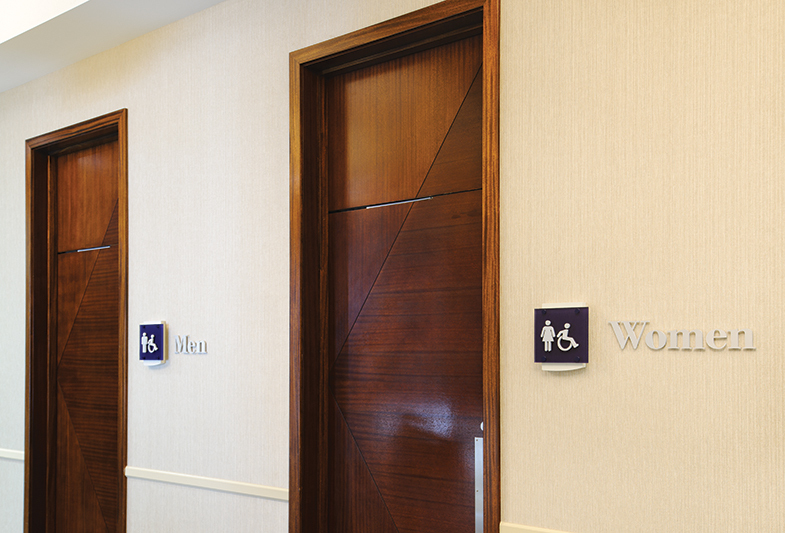 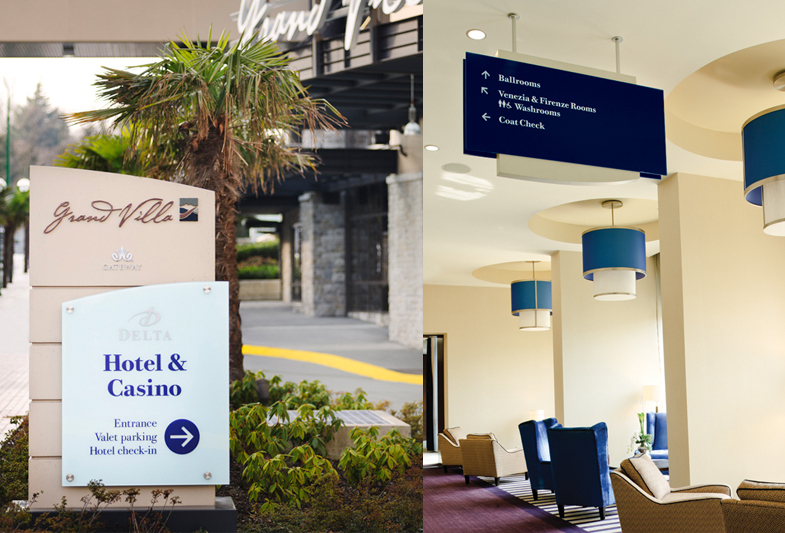 Additionally, I designed, specified and worked on implementation of all environmental signage for each of these entities to integrate seamlessly into the existing interior architecture. 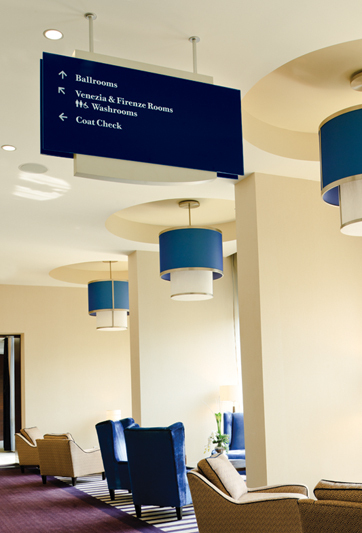 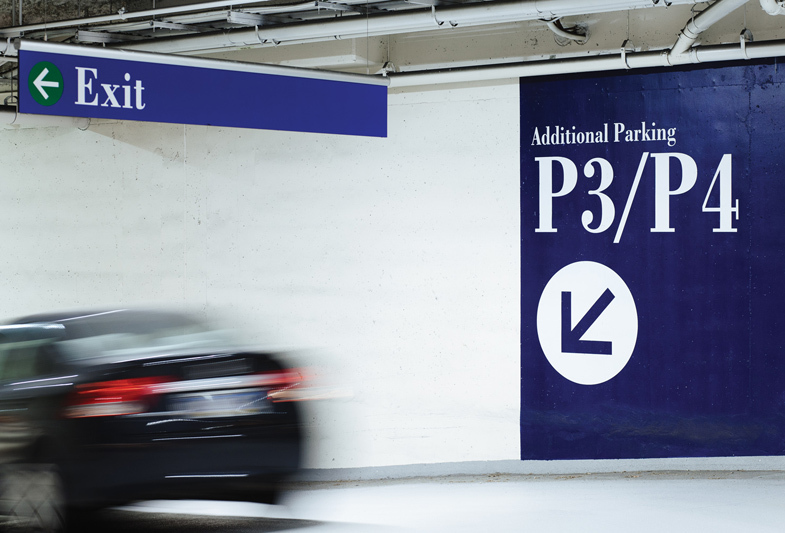 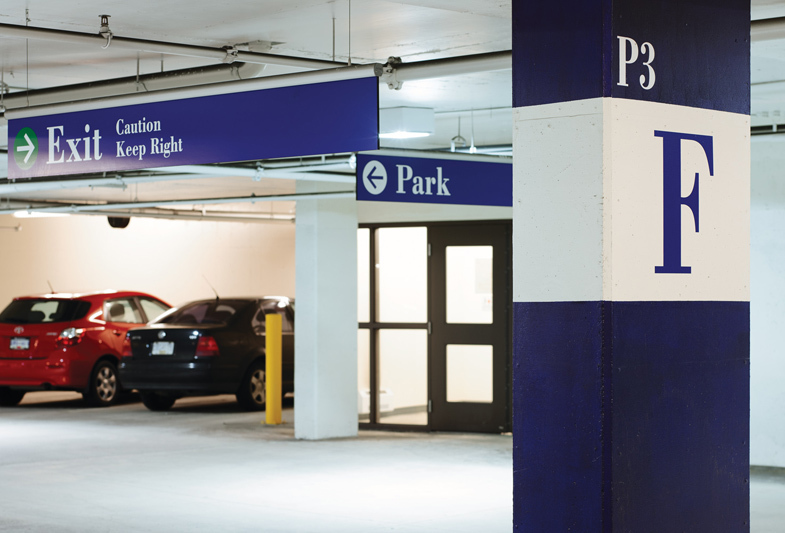 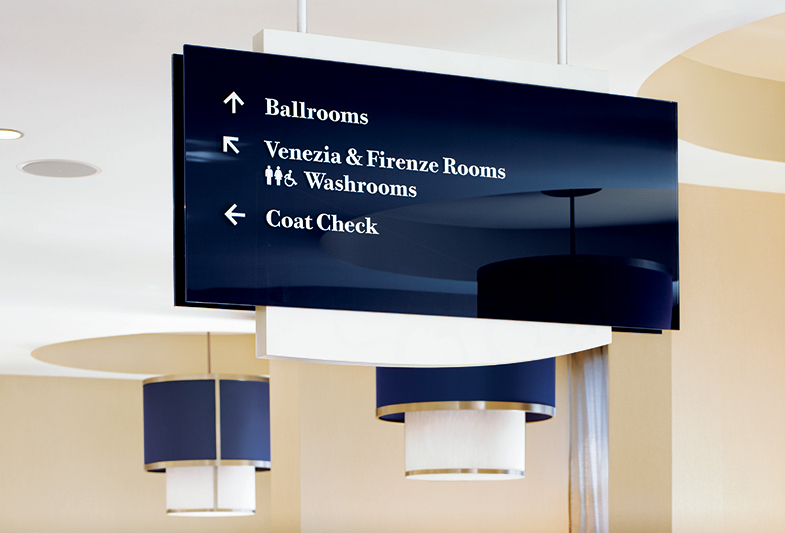 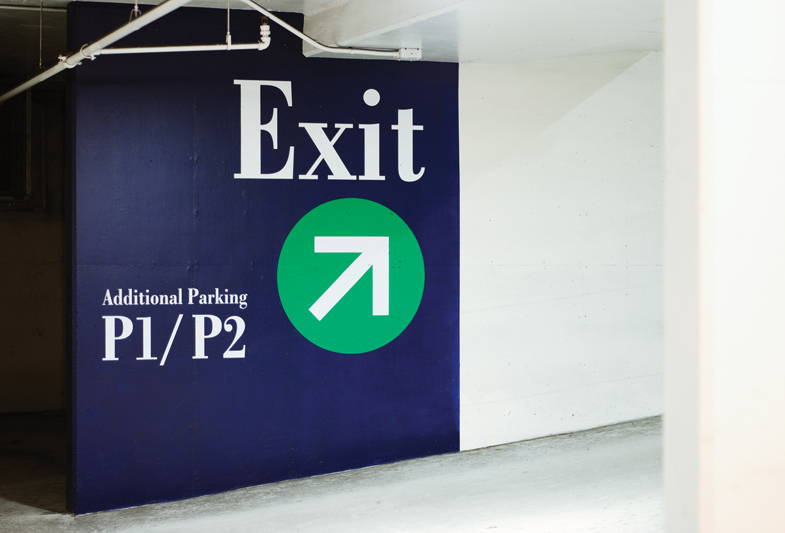 I also designed and implemented a complete wayfinding sign program for the entire complex. 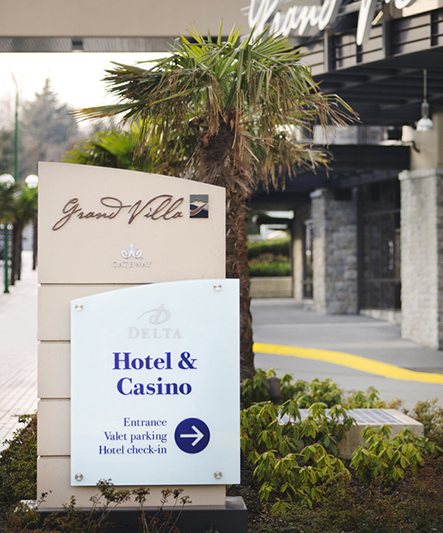 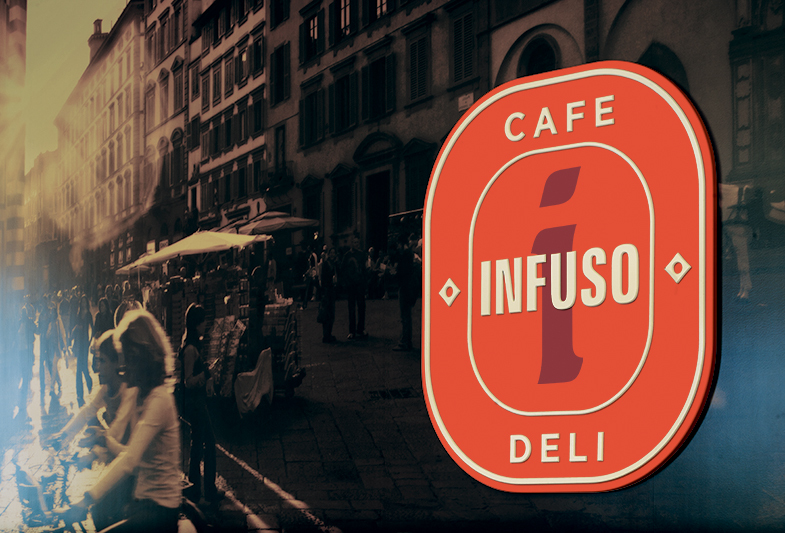 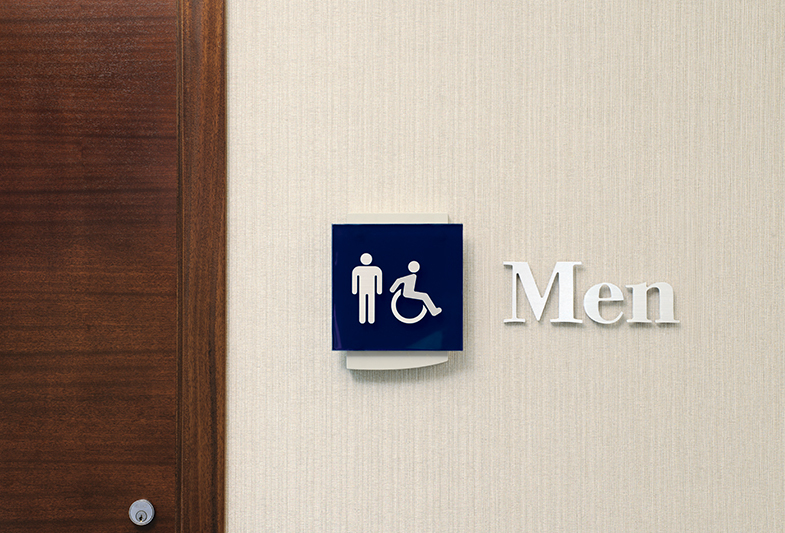 Furthermore, exterior signage was also part of the overall environmental branding program.